Hradec Kralove is called City of Bohemia Queens. 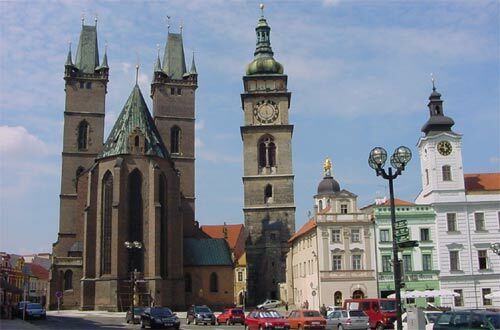 The city is among the oldest Bohemian towns - historical sources date it back to 1225. In the Middle Ages it was a dowry town of Czech Queens. In the same time was built Cathedral of the Holy Spirit. Hradec Kralove was transformed into an extensive military fort in the Rococo. After its demolition of the fortifications, the town received a new modernistic outlook. Many remarkable architects participated in the design, for example Jan Kotera and Josef Gocar. Hradec Kralove is the political, economic and cultural centre of the region today. I am arriving the 26 of May in Prague at 9h30. How ( train, car, flight) can I go to Hradec Kralove at my arrival? I must be at the University at the beginning of the afternoon. Thanks.